Classic Residency at Haridwar is a 3 star luxury hotel which serves the guests with utmost care ensuring a comfortable stay. The rooms of the hotels are spacious and elegantly done. 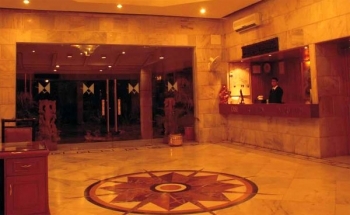 Classic Residency is a property of New Age Hotels and Resorts. Explore the best of the famous pilgrimage site on the Ganges, Haridwar by staying in Classic Residency. Enjoy the rejuvenating spa in Hitayu Spa at the resort. The check in and checkout time of the hotel is 12 noon. Classic Residency is a combination of exceptional location and incapable charm. Accommodation in Classic Residency, Haridwar is categorized under Premium Rooms, Deluxe Rooms, Suites and Executive suites. Hotel Classic Residency serves 47 rooms in all with utmost care. Special emphasis is given towards cleanliness and luxurious stay of the guest. Room amenities include AC, satellite TV, room service, laundry service, etc. All the rooms have aesthetically done interiors that will add charm to your stay in Classic Residency. Attached baths are sanitized and are supplied with running hot and cold water. Hotel Classic Residency houses a multi-cuisine restaurant named as Aangan. It is a pure vegetarian restaurant which serves delicious food. Indian, Muglai, Chinese and Continental cuisines are served in Aangan Restaurant. The ambiance of the restaurant gives a royal touch with aromatic food. 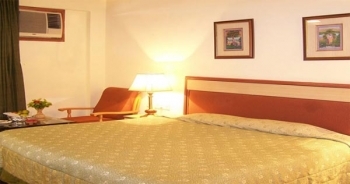 Classic Residency Hotel is situated 200 kms from Delhi and the distance can be easily covered in 5 hrs. It is located 1 km from Haridwar Railway station. Haridwar is well connected by daily trains. Shatabdi Express departs from New Delhi railway station at 7 am daily. Jan Shatabdi Express departs from New Delhi railway station at 3.30 pm daily.